When the first serious blast of winter cold rolled onto the Prairies last weekend, it caught me west of Calgary near Springbank. The heavy clouds that introduced the snowstorm were already blocking most of the light as the sun started to rise. 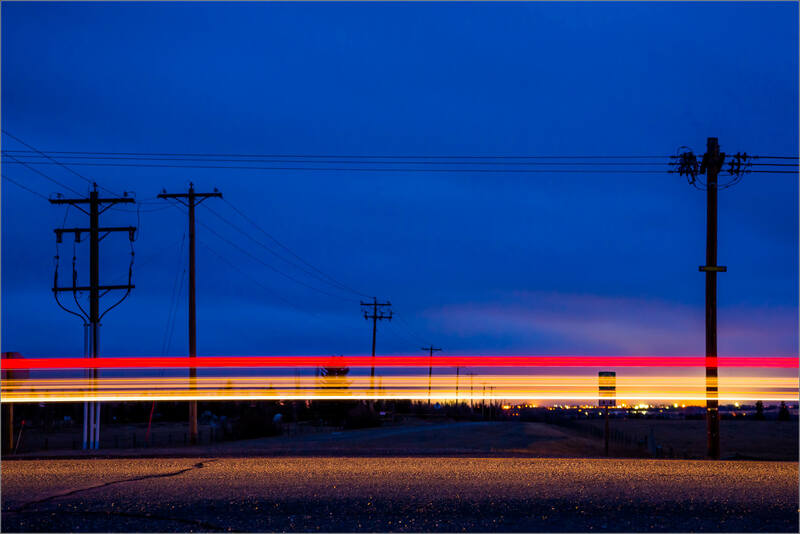 I stood on the south side of Highway 8 watching the irregular morning traffic on its way to and from Calgary. I liked how the headlights lit up the asphalt.